Every kind of flowers for all occasions, here at Flower Station we have you covered. The last minute dash to the shops is a thing of the past as we bring freshly imported flowers from all over the world to your door. With UK wide delivery, sending and receiving flowers has never been easier. Orange signifies vitality, strength and fortitude, traditionally linked to summer, heat and new life. In this way orange flowers are a perfect gift for specific occasions such as summer parties, fairs or as something to bring to a barbeque. Strong and bright, they will no doubt catch the eye of anyone close by and serve as a timely reminder of the finer things in life. Equally, orange Gerberas or Tulips are ideally suited as a gift without any occasion at all, as a simple gesture - in the form of a bunch of ten or incorporated into a bouquet – of friendship and kindness. Many people will confess to orange flowers being their favorite of all, though who can blame them? 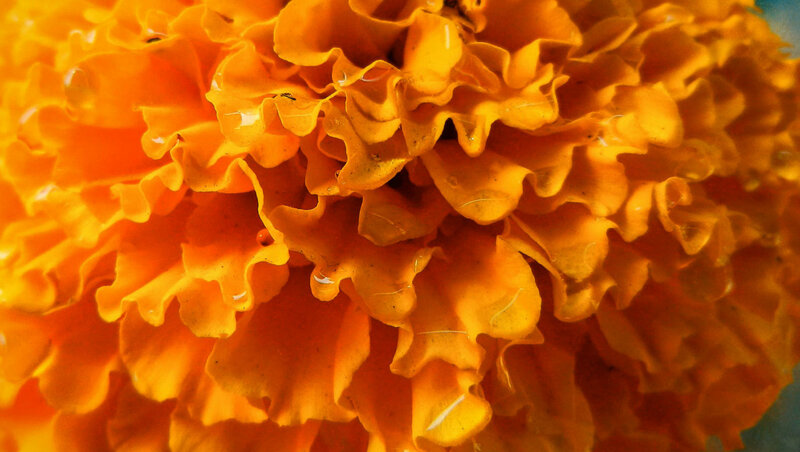 With different tones and depths, orange flowers are elemental and powerful in their uncompromising vigor and vitality. All in all, who can say they are not satisfied with a bright orange Ranunculus, filling a room, event or garden space with colour and energy or with a spectacular, almost unbelievable Bird of Paradise exploding from perfect summertime bouquet? We can deliver orange flowers anywhere in the UK. For London, send orange flowers same day or named day. For rest of the UK, our selection of orange bouquets is available for delivery Tuesday to Saturday due to courier restrictions. Though there are a variety of orange coloured flowers to enjoy all year round, we always attempt to produce bouquets in keeping with the natural, seasonal changes in availability. This must be kept in mind when considering such seasonal flowers as the Bird of Paradise. Q. Will I be alerted if there are any problems/complications with my order? A. Our team is highly professional and well trained to keep the smooth running of all orders. If there are any issues regarding delivery, stock availability or processing, we will be quick to contact you and arrange suitable solutions to any difficulties. Q. Can I send more than one bouquet to multiple addresses? A. It is possible to send/order various bouquets simultaneously as long as it is specified during the order process either online or by phone. Flowers arrived on time and were exactly as expect. Would certainly recommend and use the service again. Ordered for a birthday and was very happy with the quality and timing of delivery. My partner was over the moon with the arrangement so no complaints!